EghtesadOnline: A bloated bureaucracy, red tape and lack of well-defined and unambiguous legal frameworks regarding copyright and user privacy are the main hurdles Iranian startups and e-commerce firms say they are grappling with. Vice President for Legal Affairs Laya Joneydi Monday met with entrepreneurs and business owners and listened to their list of demands and the obstructions in their way. The three-hour meeting was held at Iran Chamber of Commerce, Industries, Mines and Agriculture. Participants included e-commerce giant Snapp CEO Jhubin Alaghband, executive chairman of homegrown Android market Cafe Bazaar Hessam Armandehi, Nima Ghazi, director of the online travel agency Alibaba, Shahram Shahkar, head of auto sales department at Divar (classified advertisement website), and Nazanin Daneshvar CEO of Takhfifan (group buying website). Unlike most politicians, President Hassan Rouhani’s senior aide was not loquacious and was interested more in listening and less in talking (a feature in short supply in similar boring gatherings), according to Financial Tribune. Among the main problems startups listed was the lack of a transparent legal framework for preserving user data. Drawing on the European Union’s General Data Protection Regulation (GDPR), Iran’s ICT Ministry has prepared a bill it calls ‘User Data Protection’ that will go to the Majlis for ratification in the coming months. The draft of the long-awaited bill was unveiled last July. Businesses took stock of outdated copyright laws that have long hindered the key technology sector. Copyright laws in Iran date back to half a century and are simply unfit for modern-day business. Reportedly a new copyright framework is in the making by the ICT Ministry, High Council of Cyberspace and the judiciary. Without going into tired clichés, startup owners said the “e-commerce sector is an unknown entity for judges and prosecutors in the country,” pointing out that authorities are not well-acquainted with how the sector, which has grown exponentially in most parts of the world, functions. 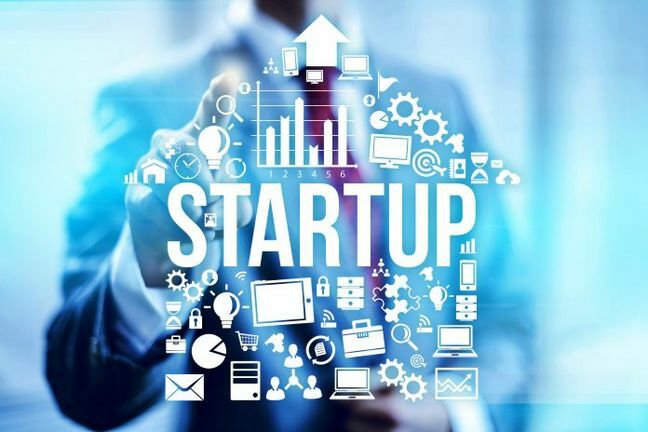 According to most guests, authorities in many cases “do not have an inkling of what a startup really means.” There have been cases where officialdom was completely unfamiliar with technologies used by such companies. Considering the novel business models used by such firms and their extended use of modern technologies, speakers told the veep that those in charge need to set up special tribunals to look into resolve disputes related to startups and associated businesses and make informed decisions. One of the major hurdles startups are struggling with is the unwanted and unhelpful bureaucracy. To offer a single service every company must acquire permits from half a dozen state and government agencies! Entrepreneurs have often criticized the government for the drawn-out legal process, which they insist discourages private enterprise -- hinders more and helps less. There have been occasions when simultaneously several state organizations have prosecuted one company for a single reported infringement. Entrepreneurs appealed to Joneydi to help create an efficient task force to coordinate legal procedures and make way for normal economic functioning -- a practice most developing nations follow to help create jobs and promote SMEs. One guest pointed to the guidelines for publishing online content. As per the guidelines, firms should not distribute content which is considered “obscene”, a single vague word, which legal authorities have used generously to block websites as and when they deem fit. In response to the long list of concerns of the startup sector, Joneydi asked them to send their “documented complaints” to her office. While acknowledging that much more needs to be done for boosting startups and knowledge-based firms, Joneydi appealed to the entrepreneurs to trust her team. To support startups and e-commerce and cut red tape -- as per government guidelines issued on Dec. 15 and signed by Joneydi -- a task force has been set up to look into the bans on websites. The guideline says if a state organization decides to take measures against an online business, the task force is responsible for offering both sides with a solution and to the extent possible settle it without distress. The offices of two vice presidents (for legal affairs, and science and technology) along with ministries of ICT, cooperative, industries, culture, and economy have representatives in the task force. If a state body decides that a website must be blocked due to some legal infringement, the task force will try to solve the problem through talks between the online business and the state or government agency. Previously, state and government agencies registered complaints with half a dozen authorities all the way from the Iran Cyber Police to the judiciary. The response of security and legal authorities to such cases was blocking their websites. Setting up the task force under Joneydi’s watch is considered as a step in the right direction.